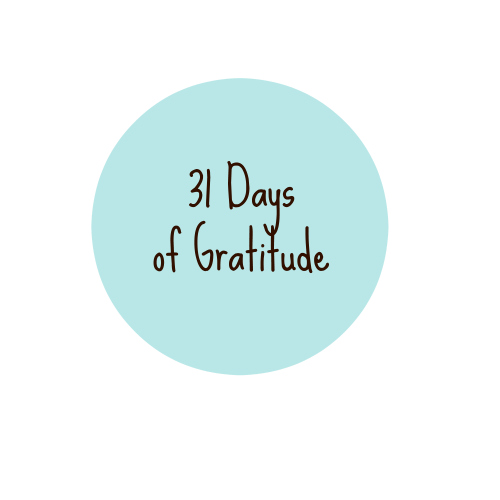 Day 3: I'm grateful for the gift of guilt. My secretary buzzed. A new client was waiting. It could be a middle aged man seeking to appeal a denial of social security disability, a mother sued for not paying a bill, a couple whose children had been taken away by the city, a family being evicted, etc. I often played a game at work. In the few seconds between first seeing a client in the waiting room and sitting down and listening to the story, I tried to guess what the client's problem was. I had just turned 25 and had been working as a legal aid lawyer in Norfolk, VA for 2 months. My client was tall and had white hair. If I had to guess back then, I would have said she was 70. I don't remember. I'm not sure I ever asked. As I walked her back to my office, I imagined that her husband was a navy officer (Norfolk has a huge navy base), and, having spent a lifetime of moving all over the world with him, he had found someone else, closed the bank accounts, and wanted a divorce. It happened, and a lot of those women ended up at legal aid. I glanced outside. The snow had picked up. Snow was unusual in Norfolk -- it was too close to the coast to get much snow. But on this Friday, it looked like we were beating the odds. The office was scheduled to close early, but this client was a "walk-in", meaning she had no appointment and someone deemed her problem to be an emergency. I noticed that my client was wearing a warm wool coat and had on boots. Her white hair was short and framed her face nicely. Her hair was a bit wet from the snow -- she really should have been wearing a hat or scarf in the storm. I took this woman's coat, hung it up on the wooden coat rack, and asked her to sit down. In the two months that I was a lawyer, I had learned that the most efficient way to get anyone's story was to let the client speak uninterrupted for at least a minute. A minute is a long time when your head is filled with questions, but clients needed to get out their version of the story before they could listen to me. The woman with the snow white hair leaned back. Her eyes looked tired, with the sheen that older eyes sometime get. Maybe I said she looked 70 to feel better about what happened. Maybe she was 80? "I have no where to live. I have no where to go." She looked at me and I looked away. I stared at the falling snow. My office was near the river and had a beautiful view. For a moment I watched the snow hit the river, and melt away, again and again, becoming part of the river. It was silent and beautiful. I turned back to the woman and asked her to explain. The woman with snow white hair began talking, but I don't remember what she said. She had no where to live. No where to live that night. No where to sleep. No car. Nothing. I don't remember the reasons. Whom do you sue for a place to live? I had no idea. I was honest with the woman. I told her that I didn't think she had a legal problem, but if she wouldn't mind waiting a minute, I would check with one of the other attorneys. "I'd love to wait here. It's warm." I knocked on Gary's (not his real name) door, asking if he had a moment. Gary had a moment. I asked Gary what to do. Gary had been practicing as a legal aid lawyer in Richmond for ten years and I often sought out his guidance. Plus, he grew up in Norfolk and knew his way around. He would know what to do. I don't remember much of my conversation with the woman but I do remember Gary's exact advice: "Throw her back out into the snow." I walked back into my office fuming. What a jerk. I returned to my office and glanced outside. The snow had picked up. Almost every day I met someone whose life was a mess, who needed money and time and love. I wasn't there to prop up their lives -- I didn't have enough money to support all these people. I was just there to do my job, just like Gary. Maybe she was on drugs or alcohol and just wanted money for a fix. Maybe it was a big joke and the entire staff would come in and yell surprise and we'd all laugh about what Gary had said. Maybe. Maybe. Maybe. A few minutes later, I apologized as I walked this woman to the door of the office and wished her luck. I don't know what happened to her. Most of life is routine, the moments melt into one another, eventually unrecognizable and forgotten. But some moments never leave. They stay sharp; they settle into our bones; they keep us up at night. I've tried over the years to make it up, to make up for throwing the woman back out into the snow. But I'll never make it up. There are some things that can never be fixed. I hope the guilt stays in my bones, where it prods my heart and soul to try and be a better person. It is the only thing worth salvaging from that day and for that I am grateful. ** There are shelters now. I never know what I am going to get when I go to your blog. cards, humor, life? it's all good. tough story. I know so many kind fantastic people. but you are right -- we seem to be in a dark moment in some ways. I think we all have some version of this story. It's good to remember so we learn and do better. Good story. Thank you, Joan for reminding me that gratitude should include the hard things that help us evolve and expand our hearts and souls. 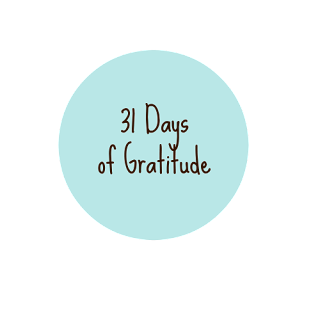 I am inspired by your heartrending story and today I will start my 31 days of gratitude for both the wonderful and the tough things in my life. Thank for sharing your beautiful heart in both your card art and your writing. Wow Joan - you just told that story to an Italian Catholic - now I feel guilty and I wasn't even there. I feel guilty for everything I MAY have done. EVER. Seriously, though, your point is well taken. Guilt should be a tool to remind us to do better going forward. You are an incredibly good writer. You had me sitting right beside you, sharing this decision with you. I have been in incidents like this when I was teaching, students with problems at home and wanting to come home with me, it tore my heart out to "offload"them to the Principal because I couldn't help them (by law). And even though my childhood was terrible, at least I had my mum for love and support. Something I am eternally grateful for. Thank you for sharing such a personal memory. thanks Janelle. I'm sorry your childhood sucked but glad you had your mum. Hugs. I think guilt is one of those emotions that gets a bad rap, but you've illustrated the real reason for its existence—guiding us to do better in the future. Thank you. I so enjoy the way you write! I also enjoy the wide range of subjects: humorous, sincere and like this, emotional! I felt your pain very clearly in the conflict you faced. I, too, was raised with guilt, but had never thought of the positive influence it can have on us. Thank you for sharing this story! Hi Joan! I saw this long post pop up and I have been saving it to read when I had a spare moment to savor your words. I adore your writing and always look forward to a story from you. This was one of those "pull your heartstrings" stories. Life has such sad moments sometimes and this was one of them. I don't know what more you could have done for her. It is a story that you don't forget though and it changes you. Sounds like it had a positive impact on you. God bless Joan! Have a wonderful weekend. a law school colleague shared with me that he was in the same predicament once and had a guy move in with him for 2 weeks! so I guess there are choices. some folks take more risks than I do and I admire them. Thanks for the kind note. Yes, you make fantastic cards that are simple, pure, and from the heart, but your real gift is your talent for storytelling. I have one of these stories in my life and I also can never forget or forgive what I did on that day. Thank you for making me realize that there might have been a reason why it happened. so sweet of you to say. thanks for sharing a bit about your own difficult moment. The lyrics to John Mellencamp's "Ain't That America" are running through my head. You were so young. As vulnerable as she was. What really tells us about you, Joan, is you haven't forgotten the story. We learn from our own stories and that is where hope comes from. These are the things that keep us awake at night. We all have them. We amass them over the years until, if we're lucky, they make us better people. Beautifully written, Joan. The picture and mood flows throughout. I know you helped more people than you threw out into the snow.